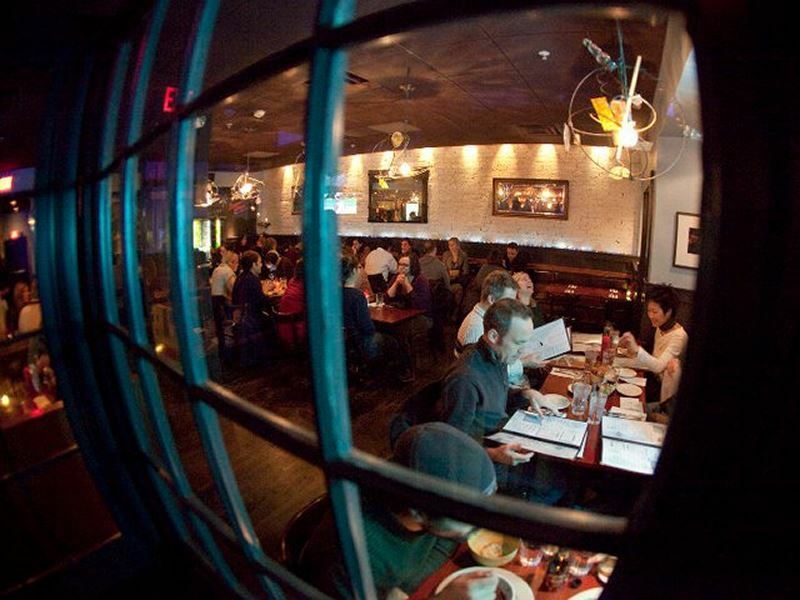 When you think of the best things to do in Boston, dining out might not be high on the list. 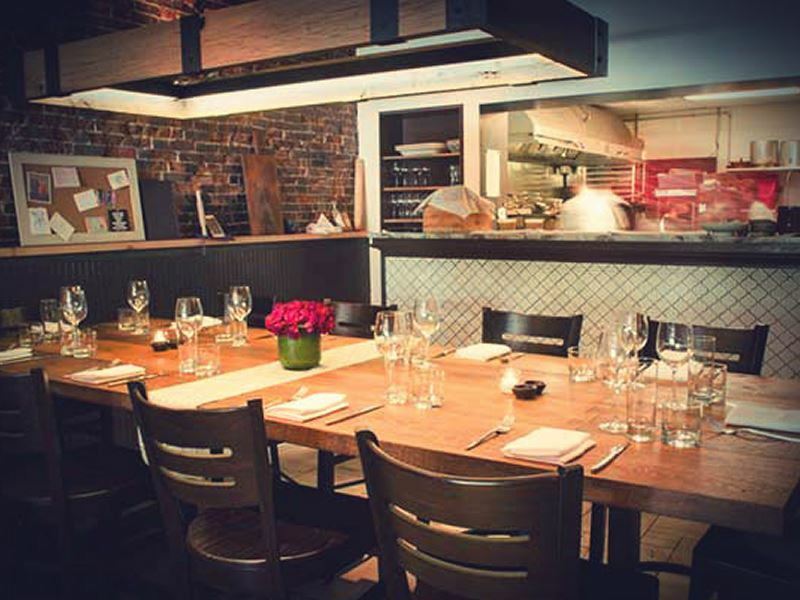 But there are plenty of amazing restaurants in the city that are steadily transforming Boston’s reputation from a hub for culture lovers and young students into an incredible destination for foodies. 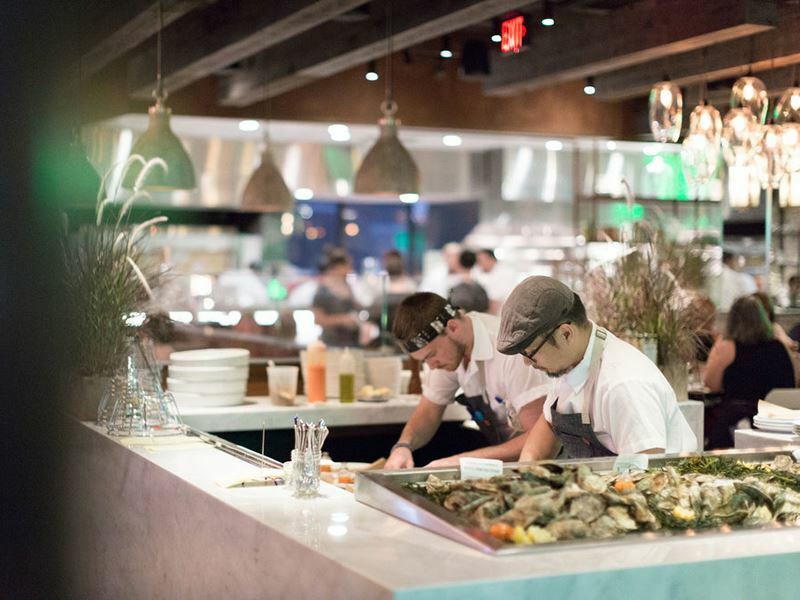 From Back Bay to North End and beyond, Boston serves up an impressive selection of local culinary talent so skilled that they’ve created a dining scene good enough to rival that of Chicago or New York. 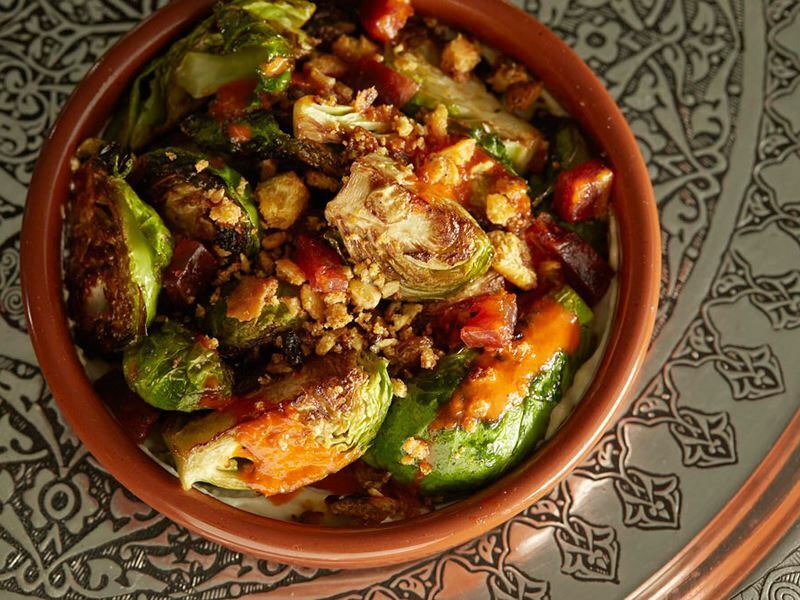 Here’s our pick of the top 10 restaurants in Boston, guaranteed to make you see the city in a whole new food-orientated light. The scene: An authentic Italian restaurant providing a truly exceptional blend of warm hospitality and spirited cooking, Giulia’s heart lies in its pasta. Every day, the kitchen team works hard to mix and roll out the fresh, handmade pastas that feature on the menu in the evening. From the goat milk ricotta gnocchi to the spring lamb tortellini, all the pasta dishes are bursting with real Mediterranean flavours and are cooked perfectly al dente. As well as hand-rolled pasta, Giulia’s menu also offers up traditional antipasti dishes and thoughtfully prepared grilled meat and fish plates, all with tell-tale Italian flavours that work together seamlessly. 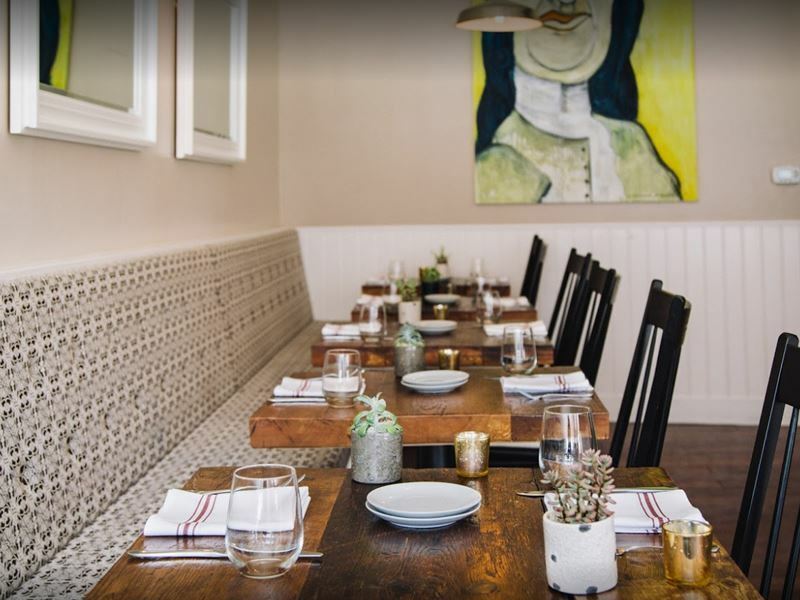 The bare brick walls, chalkboard wall decorations, dark wooden furniture and low moody lighting create the ideal blend of chic city bistro and typical Italian restaurant that makes Giulia the ultimate dining spot in Boston for an upscale date night. Signature dish: Pappardelle pasta with wild boar, black trumpet mushrooms, juniper berries and parmesan cheese. 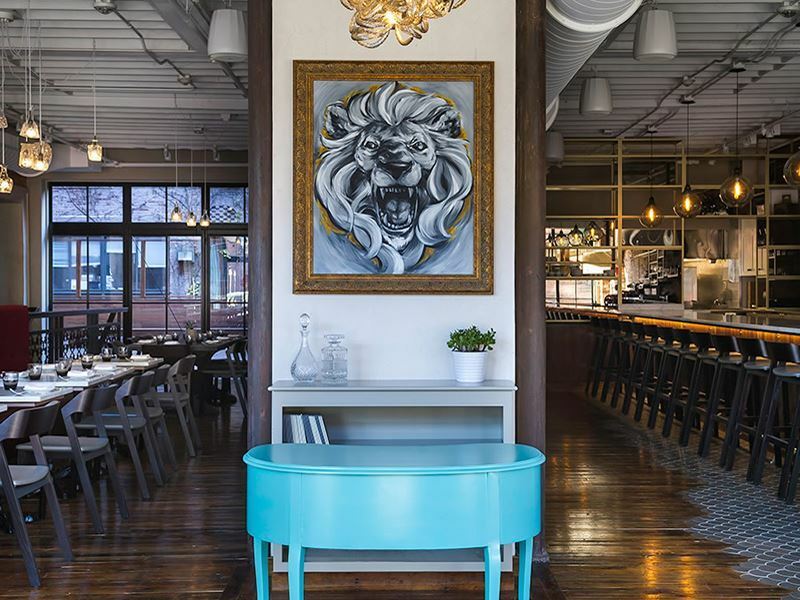 The scene: Set in Boston’s historically-rich South End, SRV (Serene Republic of Venice) is the city’s original Venetian-style gastropub and wine bar. Specialising in intricate small plates, pasta made from house-milled flour and made-to-order risotto, SRV stays true to traditional Venetian cuisine, while also adding a contemporary twist. The menu starts with antipasti-style plates of soft-boiled quail egg served with white anchovies and Italian cheese platters before branching out into the tempting main courses which include the melt-in-your-mouth clam risotto and rich lamb belly served with saffron yoghurt. The drinks list has been carefully designed to pair perfectly with the food, featuring exclusively wines sourced from Italy and cocktails heavily influenced by the country. The décor is surprisingly light and airy for an Italian eatery, with tall ceilings, modern lighting and hanging planters brining a touch of the outdoors inside. If the weather’s fine, diners can take advantage of the outside patio and enjoy their Italian dining experience al fresco. Signature dish: Mushroom risotto with leeks, parmesan cheese and thyme. The scene: A modern interpretation of the traditional supper club, Yvonne’s offers a constantly evolving experience that encourages you to sit back and let the night take the lead. Flowing effortlessly from sophisticated dinners to late-night drinks, this 1930's-inspired restaurant blends cool cosmopolitan cuisine with fine dining service, all in impossibly chic surroundings. The striking décor of bookshelves that resemble the inside of the British Library, eerie portraits with eyes that follow you around the room and an incomprehensible number of seemingly randomly-placed lamps all provide much more than an evening’s worth of small talk topics. And just like the restaurant’s interior is designed for mingling and chatting, so too is the menu composed to promote diners to interact with each other. Sharing plates such as crispy pink shrimp and seared halloumi cheese alongside “Feasts for 2+” like long bone ribeye with black garlic butter and crispy tuna with roasted cauliflower dominate the menu. Signature dish: Chicken and quinoa meatballs with a Chinese garlic sauce, spicy mayonnaise and spicy peanuts. 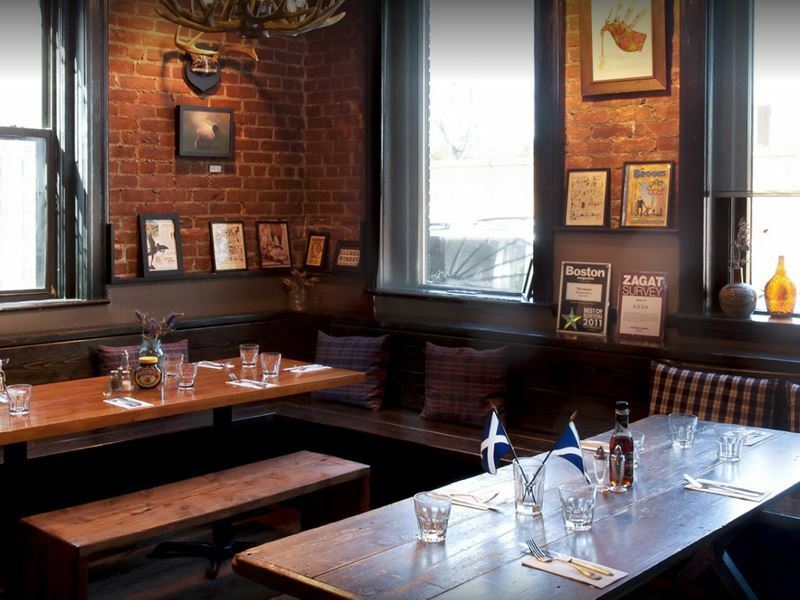 The scene: The first Scottish pub to open its doors in Boston, The Haven brings a true taste of Scotland to the US. Well-known classics such as citrus-glazed Scottish salmon with barley risotto, white pudding and mash, and beer-battered haddock all feature on the menu. But don’t dig in too eagerly: you’ve got to leave room their vegan take on the traditional Scottish cranachan dessert, the infamous deep-fried Mars Bar or, if sweets aren’t your thing, an excellent Scottish whiskey. For anyone not feeling the Scottish theme, there are also plenty of international alternatives such as vegan chickpea curry with grilled naan bread, the Haven burger with bacon-onion marmalade and even a vegetarian family platter with hand-cut chips. 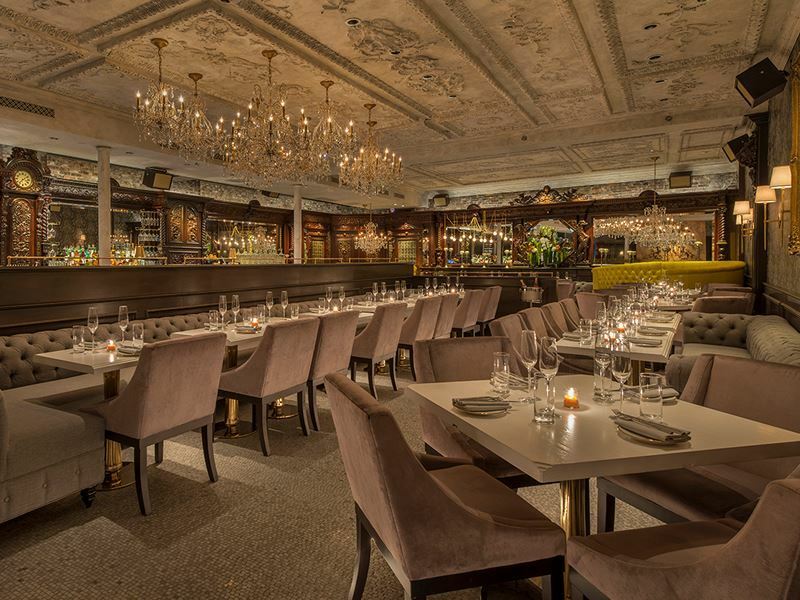 The décor reflects the menu so well that you could easily forget you’re in the bustling city of Boston and not a small country pub in Loch Lomond. Wooden bench seating, plump tartan cushions and artwork featuring everything from Aberdeen Angus cattle to famous Scottish landmarks will all take you on a trip to bonny Scotland without ever leaving the US. Signature dish: Taste of Scotland: a four-course tasting menu chosen by the chef. 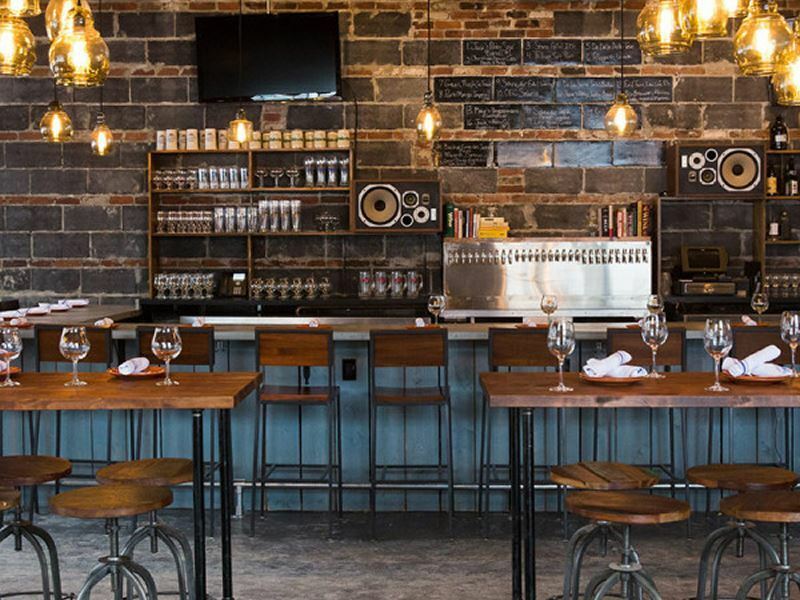 The scene: Specialising in craft beers and wood-fired dishes, Brewer’s Fork places a great importance on pizza. But instead of being smothered in tomato sauce and traditional Italian toppings, the pizzas at Brewer’s Fork are a little more innovative. From their “Freebird” pizza with smoked chicken, pickled collard greens, mozzarella, Alabama white sauce and pork crackling to the “Rhubarb-b-q” pizza served with smoked Berkshire pulled pork, rhubarb barbecue sauce, cheddar, mozzarella, thyme and lemon, all Brewer’s Fork’s pizzas are cooked to thin and crispy perfection in the restaurant’s signature wood-fired oven. Although pizzas certainly take centre stage on the menu, you’ll also find a medley of small plates designed for sharing, plus a daily selection of fresh oysters. The shabby-chic décor, with exposed brickwork, bare lightbulb lighting and rugged wooden furniture perfectly mirrors the natural, minimalist style of the food. Signature dish: Wood-fired clam pizza with bacon, shallots, thyme, pecorino and butter. The scene: A friendly family-owned restaurant set in the heart of Somerville, Highland Kitchen has been known for its award-winning American comfort food, hand-crafted cocktails and service with a smile since it opened in 2007. While the lunch and dinner menus are both loaded with tempting classics like spicy jambalaya and grilled flat iron steak, the Highland Kitchen’s brunch menu steals the limelight every time. Offering up a huge selection of tempting starters, main courses, sandwiches and side dishes, you can indulge in everything from beignets, hush puppies and chilli cheese fries to chicken liver omelettes, smoked pork hash and buttermilk pancakes here. The myriad of signature brunch cocktails which extend far beyond your typical mimosa provide the perfect accompaniment for any dish. The dark ceilings, space-age lighting and large well-stocked bar give the restaurant a bit of a nightclub vibe, but don’t be fooled – the food really is the main focus here. Signature dish: Dirty Bird from the brunch menu: fried chicken breast with Applewood smoked bacon, fried egg, sausage gravy and a buttermilk biscuit. The scene: Not much bigger than its name suggests, The Table at Season to Taste is an intimate 20-seat restaurant which boasts seating overlooking the open kitchen for a unique and involved dining experience. Focusing on an eclectic array of traditional French techniques, local seasonal ingredients and far-flung international flavours, the menu is comprised of an ever-evolving four-course prix fixe selection. To complement the set menu, there’s also a choice of monthly-changing light bites, choice wines, craft beers and ciders. So diners can follow their food from raw ingredients to the plated masterpiece, the kitchen dominates the dining room, framed by a narrow wooden bar with tall stools ideally positioned for watching the chefs work their magic. For diners who’d rather take a back seat and watch the action from afar, there’s another row of private tables for two lining the bar. Signature dish: Because of the changing nature of the four-course menu, there’s no signature dish. The scene: Sarma Restaurant is where food, drink and music come together in one vibrant celebration of all the best things in life. Inspired by the traditional restaurants in Turkey, Sarma Restaurant boasts a vast selection of small seasonal mezze plates designed to be shared. Classic dishes such as grilled haloumi, hummus and lamb kofte mingle on the menu alongside lesser known Mediterranean delights, like parsnip fritters, Egyptian squid and Tunisian steak tartare. The food has been thoughtfully designed and crafted into bite-sized nibbles for friends and family to share together while chatting and sipping food-friendly cocktails, craft beers and wines available by the glass. To match the Mediterranean and Middle Eastern menu that packs a real punch when it comes to flavour, the dining room is equally bursting with surprises, from the teal blue walls and bright yellow seating to the colourful plate wall decorations and beautiful Turkish lamp lighting. Signature dish: Fava bean pate with capers, red onion and dill. The scene: The first Australian-inspired restaurant to call New England home, KO Pies at the Shipyard specialises in hearty pies. 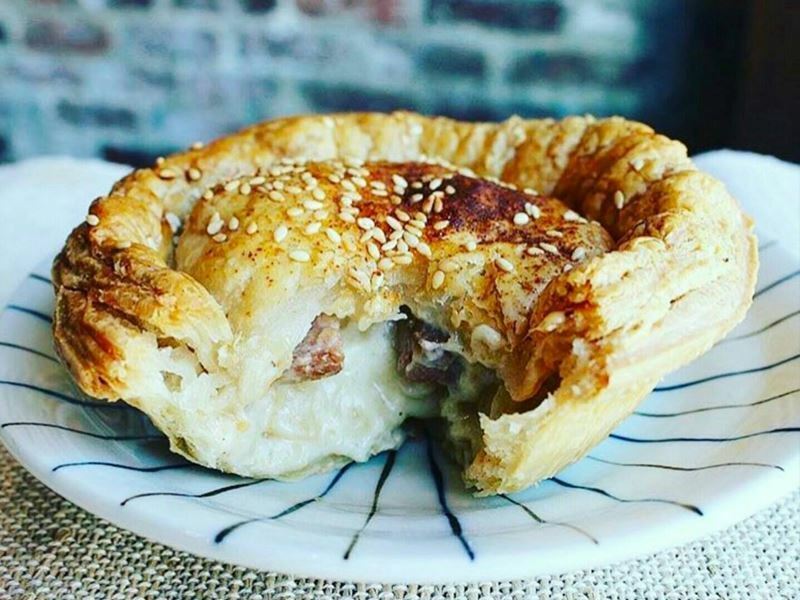 From the classic Irish beef stew and braised lamb shank pies to the slightly more adventurous curried vegetable pie and rotating pie of the month, each of KO Pies at the Shipyards’ savoury delights are made with the rich, buttery, flaky pastry that you only get from hand-baking. But it’s not all about the pies. The Aussie eatery also offers sandwiches, breakfast plates, toasts, salads, grilled dishes and desserts, all with a distinct Australian twist. The décor couldn’t possibly be matched to the casual dining style any better. White-washed picnic tables tucked under a large gazebo that provides shade during the day and romantic lighting at night create the ideal surroundings to tuck into something hearty, delicious and homemade. Signature dish: KO Brekkie Pie: smokehouse bacon, fingerling potatoes, a hardboiled egg and cheese in a flaky pastry crust. 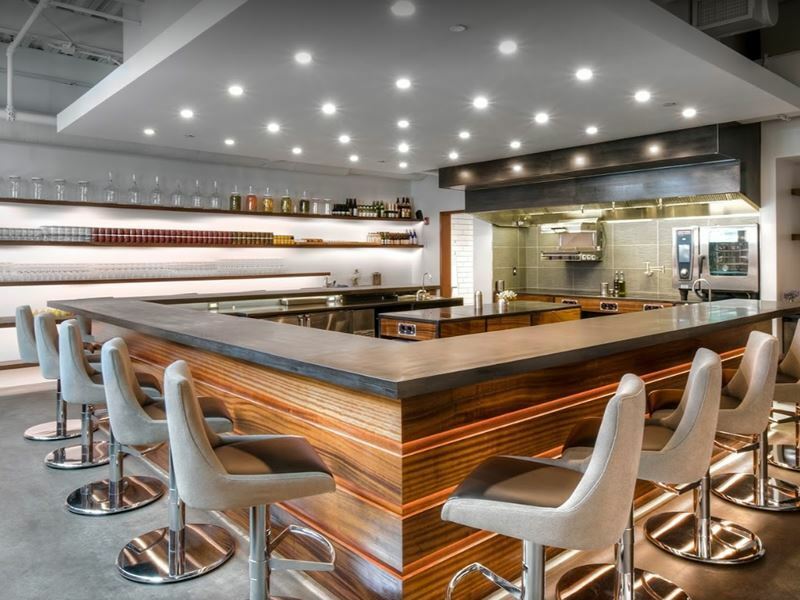 The scene: Offering a multi-sensory dining experience, Tasting Counter is on a mission to cut down the distance between the production of food and the diner as much as possible by bringing you closer than ever to the creation of your meal. This starts as soon as you enter, with every seat in the dining room perfectly positioned to face the open kitchen, in full view of the chefs’ preparation stations. To ensure seasonality and freshness always come first, there’s no menu. Instead, guests are treated to a nine-course tasting menu that’s constantly developing through the seasons. Each dining experiences is incredibly comprehensive, including not just various dishes (which are tailored exclusively to your tastes if you create a flavour profile on the website before you visit) but natural drink pairings, too. The clean-cut, minimalist and non-distracting appearance of the dining room combined with the personally-prepared food made using only the freshest, hand-picked products really does give a new meaning to playing with your food. Signature dish: Because the tasting menu is ever-changing, there’s no signature dish. It was a tough job selecting the top 10 restaurants in Boston. In fact, it was so tough that we simply couldn’t do it. Here are seven other out of this world dining hotspots in the city that narrowly missed out on their place on the main list but still rightfully deserve a mention. Every sushi lover’s dream come true, O Ya offers life-changing omakase tasting experiences, a refined small plate a menu and gallery-worthy food presentation in a discreet and relaxing ambiance. 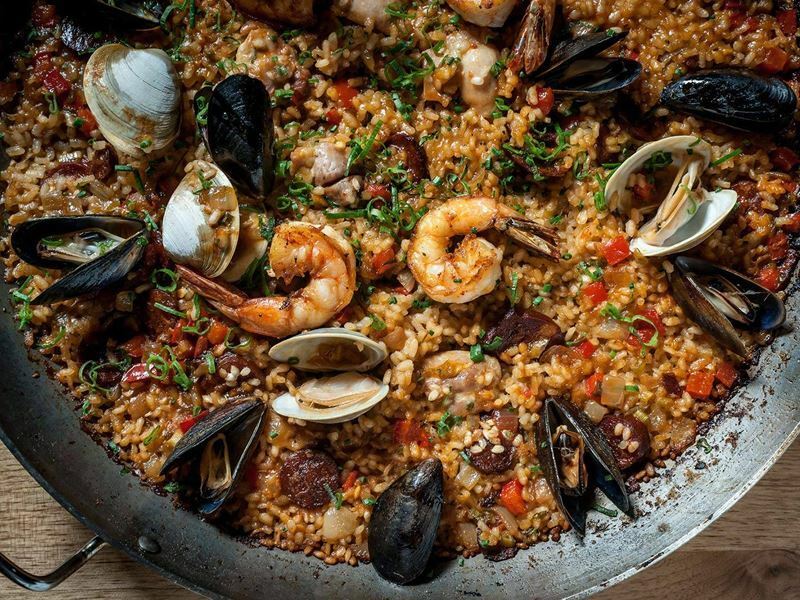 Bringing a taste of Barcelona to Boston, Toro is one of the best small plate restaurants in the city, serving classic and contemporary tapas in a rustic-chic dining room that’s the place to see and be seen. This cool Brooklyn-like space ticks all the boxes with its beautifully prepared, fresh and tasty seafood, paired with a thoughtfully-selected craft beer line-up in comfortable surroundings that will make you feel right at home. 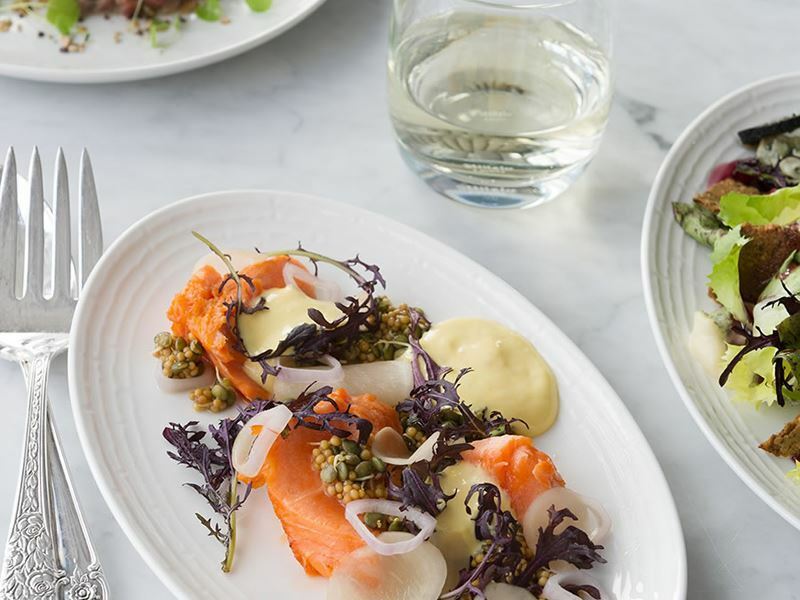 With a forward-thinking approach to coastally-inspired cuisine, Waypoint offers creative seafood dishes and fresh-as-can-be raw bar selections in a spacious dining room with a vast absinthe menu. Serving modern dim sum like you’ve never seen it before and other contemporary flavour-packing takes on traditional Chinese small plates, this Asian-fusion restaurant boasts a quirky, indie vibe and amazing cocktails. Inspired by the owner’s travels across Thailand, Vietnam and beyond, this Southeast Asian eatery invites you to walk on the wild side with experimental flavour-loaded plates and fun tiki-style cocktals. Plating up European-inspired cuisine in a sophisticated setting, this consistently superb eatery beautifully presents French and Italian dishes and serves them with true grace in fancy yet comfy surroundings.